Boston is an amazing city. It has some of everything. Far more than you could ever hope to see in one trip. 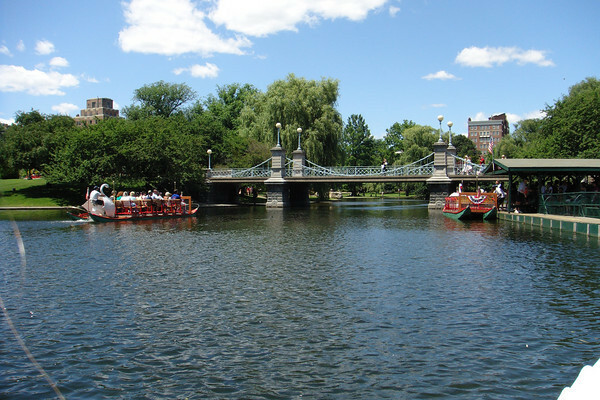 Part of Boston's charm is that it has several venues for adults, for kids, for the whole family. Boston has history, the bay, museums, sports, shopping, music, breweries, cannolis. If you include the surrounding area, your options almost become limitless (beaches, Lexington and Concord, John Adams tour in Quincy, Newport mansions in Rhode Island, Six Flags, I could go on and on). 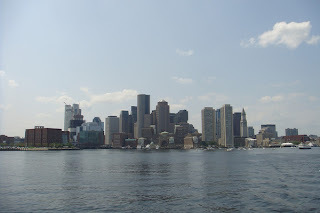 Unfortunately most of these hot spots are relatively expensive--the aquarium and whale watching, most museums including the highly rated Science Museum and Fine Arts Museum, a Red Sox game at Fenway, some of the stops on the Freedom Trail, not to mention parking, shopping, and restaurants (you have to try the lobster). However, we did find some of the cheaper sights. 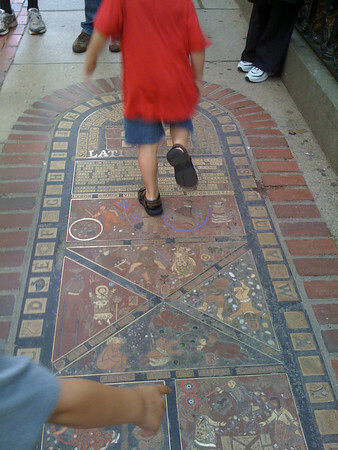 Here are our favorite five free or almost free hot spots in Boston when touring with children. Especially if your kids live in a place that does not have a subway system, the subway is a major highlight. My children particularly enjoyed that the subway went both under and above ground providing them with plenty of tunnels and views. Inside one of the tunnels is a "movie" where pictures have been drawn along the wall. At subway speeds, those individual pictures blend into a movie similar to a flip book. After initially finding their legs, my children also tried subway surfing where you stand in the aisle and try to maintain your balance as the train turns, slows, speeds up, and stops. You do need to be careful entering and exiting (mind the gap) and try to surf safely. We found most fellow subway passengers to be friendly and delighted with our children's excitement but we also made sure we practiced manners, particularly during crowded times. And in Boston, children under 11, ride for free. Adults can purchase a week pass which is very economical if you want to make multiple stops or will be touring for more than a day or two. Probably more enjoyable than the subway was the ferry that crosses near the Aquarium to Charlestown where the Freedom Trail ends at Bunker Hill and the USS Constitution. Not only is this a cost effective way to get to the end of the Freedom Trail, but it gives you a fantastic view of the harbor from the Boston clock tower to Old North Church. (This also a great place to pick up discount t-shirts from the street vendors). This 50 acre park is a landmark in itself (and a subway stop). The best part is the frog pond where children can wade in the summer in a foot or so of water (unfortunately it frequently closes largely because of weather). Nearby is a large playground with features for tots as well as older children. On the other side of the park is a whimsical bridge, the "Make Way for Ducklings" statues, and the swan boat ride (which does charge a fee). The Common is also home to a few historical sites including a large statue of George Washington, smaller statues primarily depicting various wars, and is the spot of the original stocks and hanging tree from colonial times. A carousel was recently added (which also charges a fee). Be careful to check the weather and the event schedule before going. I also recommend you bring a picnic which seems to be a crowd pleaser at my house. 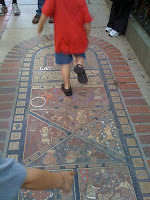 The Freedom Trail is a well known walk through Boston that covers 17 sites. Some of them are free, some of them are kid friendly. Others are not. Before going, familiarize yourself with the stops and prepare your children ahead of time. Take their ages and interests into consideration when deciding which parts to do. 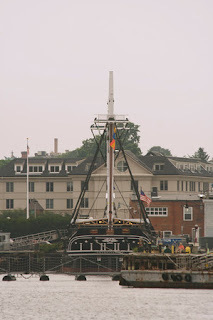 My children's favorite stops were Boston Common, Faneuil Hall, Bunker Hill, and the USS Constitution, although they were willing to go to most of the other sites, many of which we only stayed at for a short time. The Granary Burying Ground located next to Boston Common was an unexpected surprise. This graveyard holds Sam Adams, James Otis, Paul Revere, victims of the Boston Massacre, Mother Goose (did you know there was a woman behind the legend?) and other historic figures. It was very moving for me and an incredible teaching moment. As you continue on the trail, be sure to point out the hop scotch by the Benjamin Franklin statue in honor of early American public schools. You will want to hit Faneuil Hall (also called Quincy Market) around meal or snack time (okay, that means this stop will not be free or almost free). It is a food court on steroids and shopping mecca. Point out the grasshopper weathervane on top used as a spy symbol during the Revolution and a symbol of wealth. Have your boys stand next to the bronzed shoes of Larry Bird (they are as big as clown shoes). Across the bay is the USS Constitution (see below) and Bunker Hill. 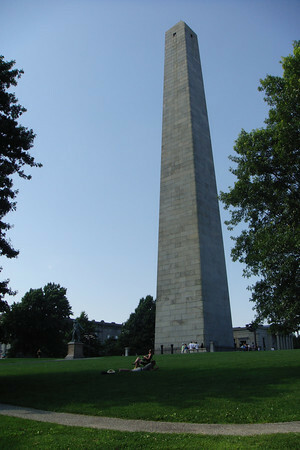 Find a burst of energy, the Bunker Hill monument is a mere 292 stairs to the top in very humid air. My older kids raced to the top and I followed about 10 minutes behind with a 16-month-old in arms. The views are spectacular not to mention the bragging rights. One of the last stops on the Freedom Trail, this Naval ship dates back to 1797. Still operated today by the Navy, the free tour of this ship is one of the best I have ever been on--funny, full of facts and stories, with plenty to see both on deck and below. Wait time varies and the holding area is outside so avoid going in the heat of the day or during heavy storms. Adjacent is a wonderful museum (with a suggested donation). The main floor is mostly geared towards adults with short explanatory films and exhibits. Upstairs is a mini children's museum. Children pretend to be enlisting in the Navy or Marines 200 years ago. They can scrub the deck, works the masts, cook in the mess hall, see the life of an officer, swing in a hammock, shoot the cannon, see how the ship survived the pirates, and much more. Our then second grader rated this higher than the expensive and famous New England Aquarium. The Boston Children's Museum is one of the best in the nation and only costs $1 per person on Friday evenings. Yes, it will be crowded. Yes, you will want to stay until closing at 9:00 which will mean a late bedtime. It is well worth it. Climb through the 3 story puzzle sculpture, explore Arthur's world, play a new game, have fun in the bubble room, dance on the lighted floor, explore the Japanese house, and delight in Peep's World sand and water tables (just name a few of the exhibits). We only saw about 2/3 of the museum in the 4 hours we visited! Parking on discount days is impossible so be sure to take the subway. Many museums (not just the Children's Museum) offer a free or heavily discounted day, so be sure to check their websites. Although, families with young children might want to pass. A short drive from Boston also has other family friendly venues particularly the beach (though some charge a parking fee or small beach access fee) and Lexington-Concord National Park (a family friendly must see). As you can tell from the list, Boston involves a lot of walking, standing, and climbing stairs--A LOT. So be sure to grab your sneakers. But leave most your money home for a day or two and enjoy the cheaper side of the city. Boston has got everything to which one can enjoy them to the fullest, doesn't matter whether it is a museum, history or something else. Boston city has got something special that brings excitement in ones life.